The BA-800M chemistry analyzer is a versatile workhorse, a high volume chemistry platform with built-in sample delivery management (SDM) module. This advanced automated analyzing system is equipped with conventional software and intuitive user interface. The BA-800M is a perfect analyzer for today’s fast-paced laboratory environments. The board selection test menu includes general chemistries and electrolytes serving the needs of most clinical laboratories and hospitals. 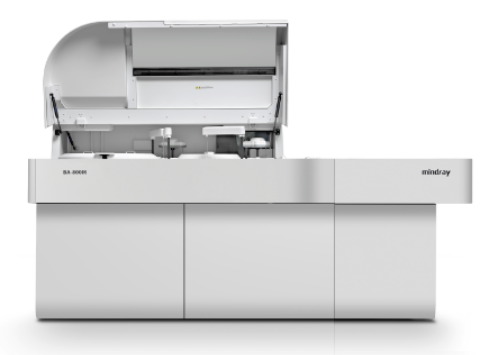 With enhanced accessibility and robust functionality, the BA-800M is your dependable and cost-effective clinical chemistry solution in achieving excellent analytical performance.